OCCUPATION: Technology Update Consultant for Pheonix Corps. HISTORY: Leonidas was originally supposed to be a male before she was born. Her parents so excited that it must be a boy to be the third of two other wonderful boys that they went ahead and named her after one of the greatest warriors of history before she was born. Once born, the parents of Leonidas just smiled and said they'd call her Lio for short. Lio however grew up to be only a good 5'3" and more of a computer geek than her athletic brothers. She was a genius, always skipping ahead in classes and then spending her spare time reading. The girl was a gift of her generation teachers would say. Lio graduated early and was pulled straight into Phoenix Corps and put through training and attained a good spot in the company. Her parents were proud and let her be independent and get her own small suite apartment in the good part of town. Lio was just glad to be out of her brothers' shadows and in a good place. She even carries her laptop with her everywhere so she can always stay in touch with her natural environment. 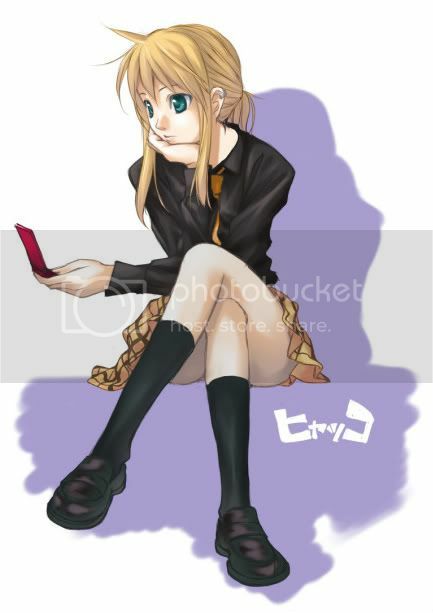 PERSONALITY: Lio can be very kind and have a good intent, but she's slightly socially awkward. She can smile and act like nothing is bothering her but she gets very shy around big crowds and is easily flustrated. She can have quite the temper and mouth on her though if she throws a tantrum. For her small size she has a good influx of emotions, but when people get on her bad side or she's not in the mood, she lets people know it. And when she gets stressed she's very testy. But when working on androids or cyborgs, she finds it easier to talk to them and converse. She also has a tendency to correct another person's grammar and show anything but tact. Lio will never beat around the bush about something. And her cat Chopin(who she brings to work with her), she talks to him a lot even if it earns her weird looks.